The London Oratory Junior Choir was established in 1973 to provide Catholic children with the opportunity to experience choral music at the highest level and to take part in the liturgies of one of London’s premier Catholic churches. 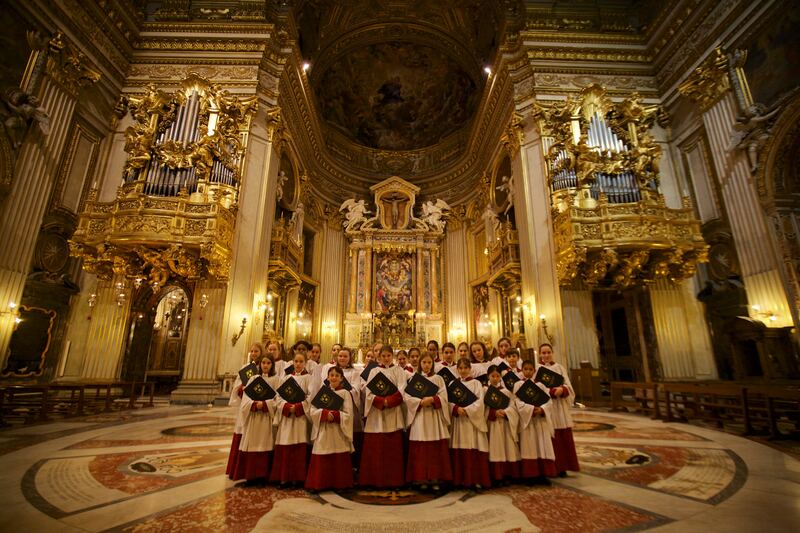 The choir is open to Catholic boys and girls aged 8-16 and provides a unique and special musical education. The choir is directed by Charles Cole, who is also the Director of the Schola Cantorum of The London Oratory School. The choristers are trained in music theory and sing a wide range of repertoire from the 16th – 20th centuries. They are also taught the major Gregorian chants and learn a large number of traditional Catholic hymns. Members of the choir receive free individual vocal tuition from one of London’s most highly-regarded singing teachers, Anita Morrison, who also trains the choristers of the London Oratory Schola and Westminster Cathedral. The Choir’s duties at the Oratory include singing the 10 o’clock Mass on Sunday mornings, Benediction on Tuesday evenings and rehearsals on Friday evenings. In addition the Choir sings at other major events during the Church year such as the famed Christmas Carol Service. The Choir undertakes a number of engagements outside the Oratory and, in particular, has a long-standing association with Royal Ballet, providing the choir for the company’s productions of The Nutcracker and The Dream at the Royal Opera House. The choir has featured on BBC Radio 3, the BBC Proms and has sung at all London’s major concert halls. The choir took part in the award-winning recordings of Bach’s St Matthew Passion and Monteverdi’s Vespers with Sir John Eliot Gardiner and the Monteverdi Choir. In recent years the choir has undertaken tours to Rome and Venice, singing at St Peter’s Basilica, the Roman Oratory, and St Mark’s, Venice.